as: "Argrgh, matey's" [sic! ], The Jewish Free Press, Calgary, July 6, 2006, p. 14. Cohen, Gerson D., ed. A Critical Edition with a Translation and Notes of the Book of Tradition (Sefer Ha-Qabbalah) by Abraham Ibn Daud. Philadelphia: Jewish Publication Society of America, 1967. ________. The Story of the Four Captives. Proceedings of the American Academy for Jewish Research 29 (1960-1961): 55-132. Goitein, S. D. Letters of Medieval Jewish Traders. Princeton: Princeton University Press, 1974. ________. A Mediterranean Society: The Jewish Communities of the Arab World as Portrayed in the Documents of the Cairo Geniza. 6 vols. Berkeley: University of California Press, 1967. Sharfman, I. Harold. Jews on the Frontier: An Account of Jewish Pioneers and Settlers in Early America. Chicago: Henry Regnery Company, 1977. The recent popularity of the new Pirates of the Caribbean film has stimulated some curiosity about the place of pirates in Jewish history. As it happens, historical documents from several eras speak of Jews as victims or piracy--and there may even have been a few Jewish buccaneers as well. As long as Jews traveled the seas or were involved in maritime commerce, they were as likely as anyone else to fall into the clutches of pirates. This was particularly true in the Middle East and the Mediterranean basin during the Middle Ages, as we learn from documents in the Cairo Genizah. The society described in those texts was a quintessentially capitalistic one in which entrepreneurs invested their money in international commerce, especially in the thriving trade with the Far East. Piracy on the high seas formed a continual threat to the lives, liberty and profits of the merchants and sailors. While piracy could be practiced as a form of private enterprise, it was often linked to international conflicts, with the buccaneers attacking the ships of one belligerent nation on behalf of another. During the Crusades, Muslim and Christian pirates were encouraged to plunder each other's vessels. However, by the eleventh century, there was enough internal sectarian division within the Islamic community that Sunnis and Shi'ites were committing acts of piracy against the ships of fellow Muslims as well. The notorious eleventh-century pirate Jabbara even switched his allegiances from the Shi'ites to the Sunnis in mid-career. Letters of Jewish travelers preserve some vividly detailed descriptions of assaults on their ships, as well as heartfelt expressions of gratitude to the Almighty for allowing them to pass safely through perilous waters. Of course, Jewish merchants, although not really parties in these struggles, were just as likely to be victimized by the pirates. Their cargos made lucrative targets, either as plunder or in order to be ransomed back by their owners. Just to be on the safe side, merchants tried to attach themselves to large convoys that sailed with military escorts. The captured travelers were often put on the market as slaves. The pirates made a point of treating their victims with extreme cruelty, not only out of sadistic malice, but also in order to terrify the victims into coughing up larger ransoms. In accordance with talmudic guidelines, Maimonides issued a responsum (preserved in the Genizah) in which he set strict limits to the amounts that could be paid to pirates, so as not to inflate the prices of future ransom demands. However, such efforts were not always successful, and extravagant sums were nonetheless paid out. In spite of the daunting prospects of pirate attacks, the Jewish merchants felt it was all worth the risk. The sunken cargos and the expensive ransoms were regarded as acceptable business risks for enterprises that were, in the long run, immensely profitable. Do not be sad, God will restore your loss to you soon; you will live, if God wills, and God will compensate you many times. A famous legend, found in the chronicle Sefer Ha-Kabbalah (the Book of Tradition) by the Spanish philosopher and historian Rabbi Abraham Ibn Daud, traces the proliferation of medieval rabbinic centres to the activities of a pirate. For centuries prior to the tenth century, Jewish religious leadership had been concentrated in the hands of the Ge'onim, the rabbinical leadership in Babylonia. 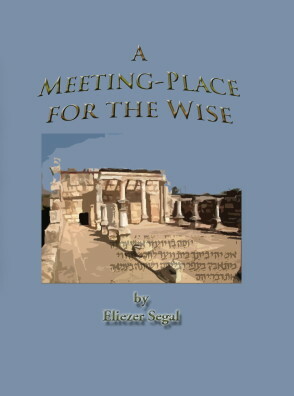 Within a very short time afterwards, the influence of the Ge'onim was drastically diminished, as autonomous centres of Jewish scholarship began to arise in different localities in Europe and North Africa. Ibn Daud explained this abrupt development by telling the tale of the Four Captives: Four rabbis were on their way from the port of Bari, Italy, on their way to attend a kallah, a rabbinic convention of the Babylonian academies, when their ship was attacked by the notorious pirate Ibn Ruhamis who was harassing sea routes on behalf of King Abdur-Rahman an-Nasir. The sages, who did not reveal their identities or their scholarly credentials to their captors, were subsequently sold or ransomed in various ports: Alexandria, Tunisia, Cordoba and an unidentified locality. Each of the four scholars rose to a position of leadership, and became the founder of an illustrious rabbinic academy in the place to which he was taken. The spread of Jewish learning among so many different centres took its toll on the Babylonian academies, which now had to compete for funds with the newer institutions. The prestige of the Babylonian Geonate never recovered from that pirate attack. We see, then, that Jews could be the target of piracy. Were any of them involved actively in the infamous profession? It's hard to put one's hook on specific examples. In ancient times, for instance, we have the case of Aristobulus, the Hasmonean leader who was involved in a power struggle with his older brother Hyrcanus. When the rivals brought their respective cases before the Roman general Pompey, Hyrcanus accused his brother of conducting acts of piracy on the seas. Josephus does not express any personal judgment about the genuineness of the charge. And then there was the case of Jason, whose Second-Temple tomb is a favorite tourist attraction in Jerusalem's Rehaviah district. One of the decorations on the building's interior walls consists of crude drawings of three ships. The more conventional interpretation of this motif is that Jason had been a merchant who had shipped cargos by sea. However, the third ship is a warship, with an archer standing at its prow, and this inspired some writers to infer that it was a depiction of Jason, who was now taking posthumous pride in his career as a pirate in hot pursuit of the other two vessels in the drawing. Perhaps the best-known pirate with a claim to a Jewish pedigree was the notorious Jean Lafitte who dominated the waters of the Gulf of Mexico in the early nineteenth century from his private kingdom of Barataria in the Louisiana Bayou. Lafitte's pirate army earned the gratitude of the American government for the services they rendered in attacking British vessels in the War of 1812. He was afterwards expelled from Louisiana, and reestablished himself in Galveston Texas, where he continued his marine warfare while reigning over his kingdom of Campeche. The pirate king was pressured to leave in 1821 after one of his captains attacked an American merchant vessel. Disney World's Pirates of the Caribbean ride sets sail from a Lafitte's Landing. Lafitte's published diaries tell about his being raised in Hispaniola by his Jewish grandmother, Zora Nadrimal, who instilled in her family vivid and detailed memories of her escape from the clutches of the Spanish Inquisition. Evidently Lafitte's wife was Cristiana Levine, a Jew from Denmark. The problem is that the document containing Lafitte's memoirs is of extremely dubious authenticity. It was not discovered until the 1950's when a translation of it was published by an obscure, unsympathetic and secretive individual who claimed to be Lafitte's great-grandson, and to have discovered the lost text in a trunk left by his grandfather. Some facsimiles of the original manuscript and of various other letters with corroborating documentation were included in a 1952 publication, but it was difficult to prove their veracity, moreso after items from the archive were destroyed in a series of house fires. The alleged Lafitte journal is now in the possession of the Sam Houston Library in Huntsville, Texas, and its authenticity--which extends to the question of Lafitte's Jewish origins--is still being debated. My impression is that recent research has been warming up to those memoirs. The paper and writing materials have been demonstrated as being from the right time period, and the text contains details that a falsifier is unlikely to have gotten right. But alas (or should I say: arggh!?) scholars have to be very cautious before committing themselves with absolute certainty to any hypothesis. After all, historical research is a most perilous undertaking.